Company ASUS presented new 9.2 mm in-ears headphones EL33 with microphone, support of 20 Hz – 20 kHz sounds frequencies playback and 103 dB sensitivity for 15 USD. Their impedance is 16 Ohms, cable is mounted to both cups and is connected to sound source via 1/8″ mini jack connector; in its volume control module uni-directional microphone and smartphones control button are built-in. Package contains : ASUS EL33 headphones themselves, interchangeable earstips of different sizes ( small, medium and large ), warranty card and user’s guide. 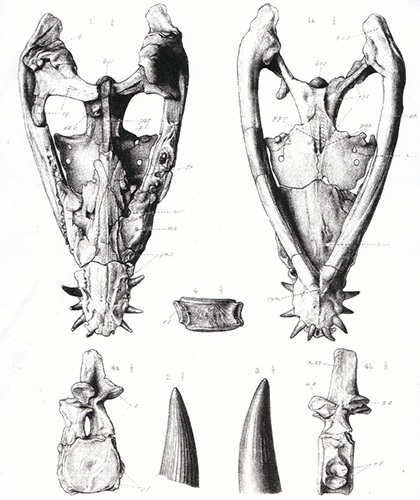 From one side : headphones are good enough and have not very big price; from the other : in-ears headphones will not give high-quality sound due to small membranes and for 2 – 3 times smaller sum there is ability to buy similar devices, which are not weaker, than these ones. So, there is ability to look on other in-ears headphones, if compactness is needed the most, or add small sum and buy 40 or 50 mm monitor headphones, if sound quality is the most important. The most functional audio interface up to date of a Focusrite company is an Thunderbolt device Red 4 Pre with 58 inputs, 64 outputs, 2 Ethernet Dante connectors and 192 kHz and 24 bits. On frontal panel of device there are : 2 TRS 1/4″ jack instrumental Hi-Z inputs; channels selectors; volume control knob of chosen ones; 3 displays, showing device’s states ( volume levels and phantom power +48 V for channels, signal levels of 8 analogue inputs with clip indication, and volume levels of monitor headphones with Thunderbolt connection and time synchronization informers ); 2 TRS 1/4″ jack outputs of monitor headphones, their volume control knob with work parameters changing buttons; and power button. On back panel there are : power line input; 2 Ethernet Dante connections; 4 time synchronization connectors with other devices; 2 pairs of optical digital inputs and outputs; 2 Thunderbolt ports; digital coaxial S/PDIF RCA input and output; TRS 1/4″ jack left and right monitor outputs; 2 Primary Port connectors; 2 combined linear outputs connectors; and 4 XLR microphone inputs. Dynamic range of microphone inputs of Focusrite Red 4 Pre is 118 dB, THD+N 0.0009 %, noise level -129 dB; linear inputs have the same dynamic range and differ only in THD+N, for inputs 1 – 4 it is equal to 0.0009 %, for inputs 5 – 8 – 0.0007 %; instrumental inputs have 117 dB dynamic range and THD+N 0.0015 %. Monitor outputs have dynamic range 120 dB, THD+N – 0.006 %; linear outputs have the same parameters equal to 121 dB and 0.0009 %, accordingly; monitor headphones outputs have 115 dB and 0.01 %, accordingly. Device can work in Mac OS X 10.9 and newer with support of Core Audio interface, via which it interacts with modern DAWs : FL Studio, Cackewalk Sonar, REAPER, Avid Pro Tools, Ableton Live, Steinberg Cubase and others. For now Focusrite does not tell anything about Windows support for device. With it following programs are supplied : Focusrite Control ( mixer ), VST/AU effects set Softube Time and Tone Bundle ( Drawmer S73 Intelligent Master Processor, TSAR-1R Reverb, Tube Delay and Saturation Knob ) and Focusrite Red Plug-in Suite ( modelling real compressor and equalizer ). Package with Focusrite Red 4 Pre audio interface contains : Thunderbolt cable, power line cable, warranty card and user’s guide. Device has very high functionality, components quality and excellent characteristics; it is oriented to large studios and is a great solution for them. If there is no need in such large amount of connectors, then there is ability to buy much cheaper entry-level and middle-level audio interfaces of Steinberg, Behringer, Focusrite, Roland, ESI, M-Audio and other companies production with the same components quality and technical characteristics. 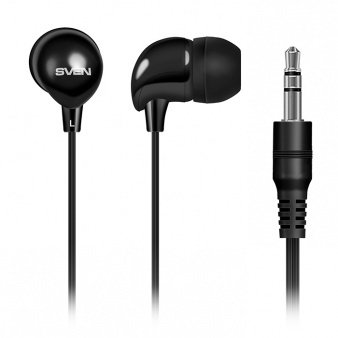 One of the novelties of Sven company production is an in-ears headphones SEB-101 with 10 mm membranes, support of 20 Hz – 20 kHz sounds frequencies reproduction and 98 dB sensitivity for 3.5 USD. They have closed architecture, 32 Ohms impedance and 10 g mass, they are supplied only in black color variant. To both cups 1.2 m cable is connected with 1/8″ mini jack connector with nickel-plated contacts for connection to sound source. Package with Sven SEB-101 contains : plastic case, warranty card and user’s guide. All in all headphones do not have some top-level characteristics, but in-ears headphones will not produce high-quality sound due to small membranes size, so these ones is an optimal choice, when compactness is the most important. If it is not needed and high quality of sound is more important, then it is better to buy 40 or 50 mm monitor headphones for 20 – 40 USD. 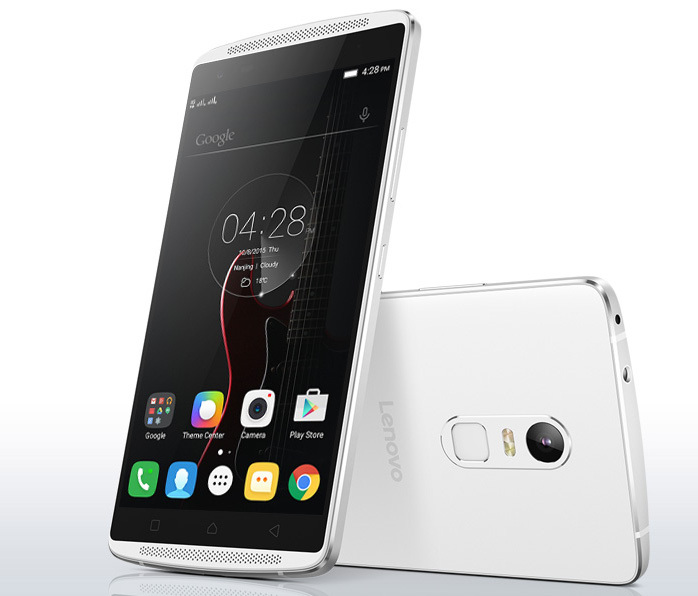 Company Lenovo presented new powerful Android 5.1 smartphone Vibe X3 with 5.5″ multitouch IPS screen with Full HD 1920 х 1080 pixels resolution and tough Corning Gorilla Glass 3, 3 GB of RAM, 64-bits 6-cores processor Qualcomm Snapdragon 808, support of 4G LTE networks and satellite navigation GPS+A-GPS, 21 MP main camera with ability to record Ultra HD 4K video and 3500 mAh battery for 400 USD. In it following are also built in : 32 GB of on-board memory with ability to extend via Micro SD flash cards with 128 GB max capacity and 2 Nano SIM cards slots. It supports 2G ( GSM 900, 1800 and 1900 ), 3G and 4G LTE networks and has proximity, acceleration and lighting sensors and electronic compass. In Lenovo Vibe X3 two very good for smartphones cameras are placed : 21 MP main one with autofocusing, 6-elements lens and support of Ultra HD 4K video recording and 8 MP frontal one with fixed focus. On external panels of device there are : Micro USB 2.0 port for connection to computer and battery charging, 3 microphones and 2 speakers, 1/8″ mini jack headsets and headphones output, as well as power and volume control buttons. It supports wireless Wi-Fi ( 802.11 a/b/g/n/ac ) and Bluetooth 4.1 LE connections for remote data transfers and communications with other devices and does not support NFC connections. Its battery charge is 3500 mAh, which is a good value for smartphones; device’s body is made from aluminum and plastic and has 154 ( height ) x 76.5 ( width ) х 9.3 ( depth ) mm sizes and 175 g mass. Package contains : Lenovo Vibe X3 smartphone itself, USB cable, recharger, headset, warranty card and user’s guide. 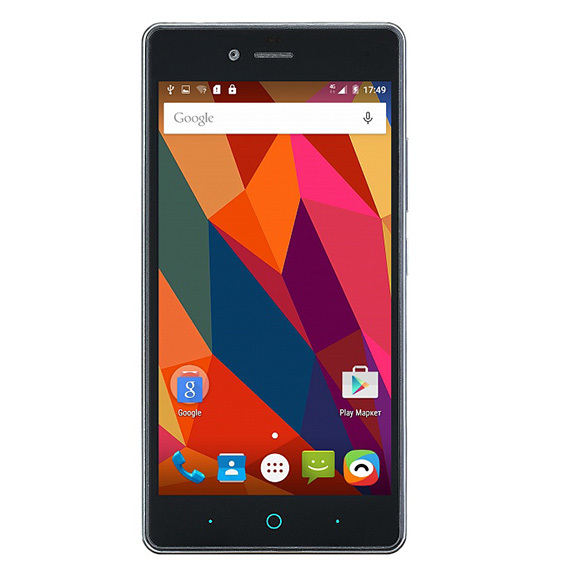 Smartphone is great : it has large IPS screen, very powerful system, support of 4G LTE and capacitive battery; of course its price is high, but it is not overpriced for its functions. So, if somebody needs very advanced in all areas smartphone, then this one has one of the best value/price ratios; but, if there is no need in such high characteristics. then there is ability to buy much cheaper optimal Windows or Android smartphone + tablet PC with large screen and there even is an ability to buy good camera with interchangeable lenses with them. 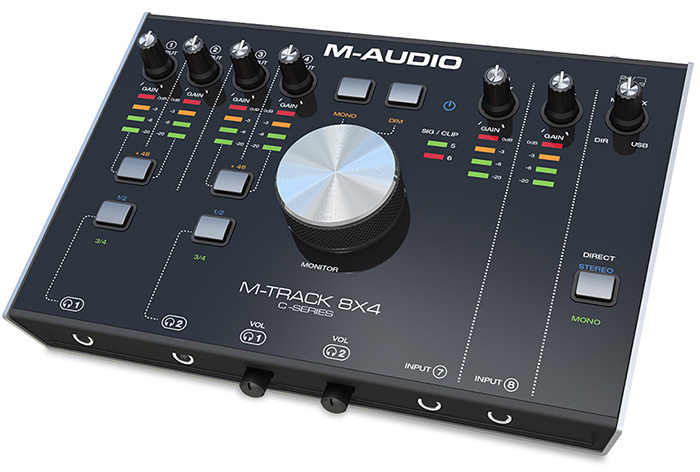 New device of M-Audio company, released in a first quarter of this year, is a USB audio interface M-Track 8×4 with support of 192 kHz and 24 bits work mode, 8 analogue inputs and 4 analogue outputs. On its frontal panel there are : 2 TRS 1/4″ jack outputs for monitor headphones, their volume controls and 2 TRS 1/4″ jack linear inputs. On top side there are : 4 gain control knobs for inputs 1 – 4 with volume and clip indicators, phantom power +48 V switch buttons for these inputs, mono work mode and Direct Monitor switches, sensor power button, volume levels and clip signalization for inputs 5 – 6, gain control knobs with levels and clip indicators for inputs 7 – 8, mixing control between Direct Monitor and USB signal, stereo/mono work mode of Direct Monitor, main volume control knob and channels selectors of monitor headphones. On back panel of M-Audio M-Track 8×4 there are : power button, grounding connector, power adapter input, USB port, 4 TRS 1/4″ jack analogue outputs, 2 the same type inputs, 4 combined XLR/TRS 1/4″ jack microphone/linear inputs and Kensington Lock slot. With it following programs are supplied : DAW Steinberg Cubase LE, AU/VST effects package AIR Creative FX Collection, AIR Strike, AIR Xpand!2 and AIR Mini Grand. Device works in Windows Vista, 7, 8, 8.1 and 10 and Mac OS X with support of ASIO 2.0 and Core Audio interfaces accordingly, allowing it to interact with modern DAWs : Avid Pro Tools, Ableton Live, Steinberg Cubase, FL Studio, Cackewalk Sonar, REAPER and others. Audio interface’s body is made from metal for increased wear resistance and protection from electro-magnetic interference. Package contains : USB audio interface M-Audio M-Track 8×4 itself, 2 USB cables of different types, disks with drivers and programs, warranty card and user’s guide. All in all device is good : it has large amount of connectors, control elements and work modes customization abilities, as well as support of professional 192 kHz and 24 bits; probably, M-Audio will set high price for this USB audio interface, so there is ability to look on other close devices of Steinberg, Behringer, Focusrite, Roland, ESI, M-Audio and other companies production with similar or even better characteristics. Another one new device of LG company is a smartphone K5 X220ds with 5″ multitouch screen with 854 x 480 pixels resolution, OS Android 5.1, 3G, satellite navigation GPS+A-GPS, 1 GB of RAM, 4-cores processor MediaTek MT6582, working on 1.3 GHz frequency, and 1900 mAh battery. Manufacturer does not tell which matrix is used for screen, but, judging by angles of view, it is an IPS or other high-quality one; it also contains : 8 GB of on-board memory with ability to extend via 32 GB max flash cards ( there is ability to say, that larger ones also should be supported ) and 2 SIM cards slots. Smartphone can work in 2G and 3G networks without 4G LTE support. 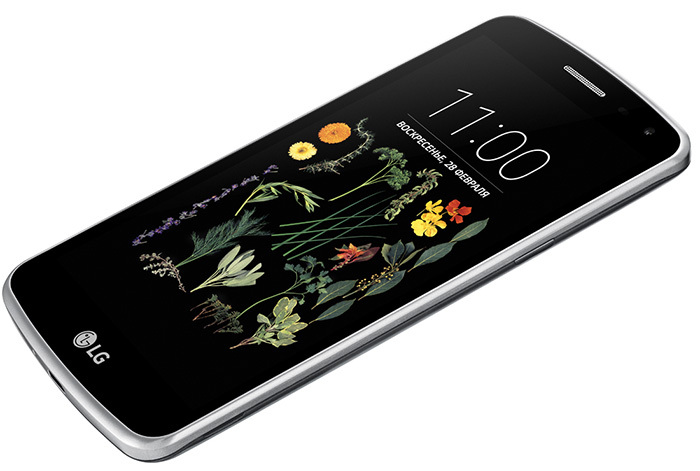 LG K5 X220ds has 2 good for smartphones cameras : 5 MP main one with flash and 2 MP frontal one with screen as flash. On external panels of device following are placed : Micro USB 2.0 for connection to computer and battery charging, microphone and speaker, power and volume control buttons and 1/8″ mini jack headsets and headphones connector. It supports wireless Bluetooth 4.0 and Wi-Fi ( 802.11 b/g/n, +Direct ) connections for remote communications with other devices and data transfers, without NFC; it looks like, that smartphone has metallic body, but maybe this is such plastic. Its sizes are 141.5 ( height ) x 71.6 ( width ) x 8.8 ( depth ) mm and mass is 120 g, it is supplied in titanium and gold color variants; battery charge is a 1900 mAh, which is relatively low value for smartphones. 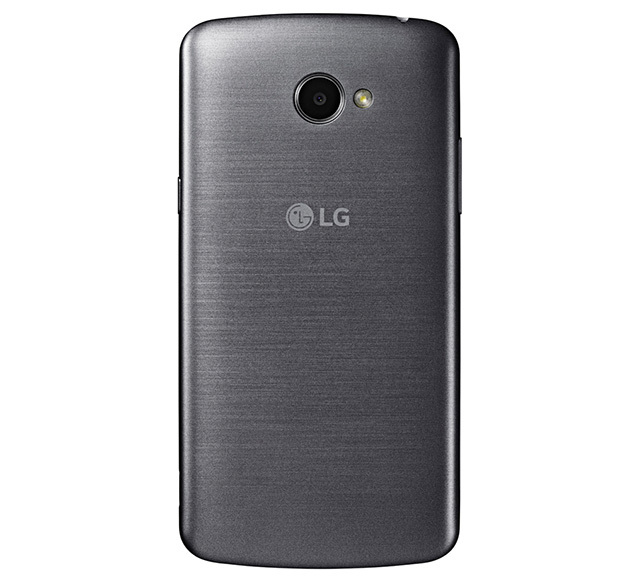 Package contains : LG K5 X220ds smartphone itself, USB cable, recharger, headset, warranty card and user’s guide. Device has no some top-level characteristics, but, taking into account lack of 4G LTE in it and average-level other parameters, there is ability to anticipate not very big price on it. So, if there is no need in high characteristics of smartphone, then there is ability to look on this device and other similar Windows and Android smartphones. Among middle functionality MIDI keyboards of Alesis company there is a device VI49 with 49 full-size velocity-sensitive keys, 16 velocity-sensitive drumpads with RGB back light, 36 assignable buttons and 12 programmable knobs. Besides this it has : modulation control and pitch-bend wheels, LED screen, transport and octaves control buttons; as well as TRS 1/4″ jack input for sustain pedal, MIDI output, USB port for connection to computer and powering, switch on button and power adapter input on back panel. Alesis VI49 works in Windows Vista, 7, 8, 8.1 and 10 and Mac OS X without additional drivers via Plug and Play technology; and integrates with modern DAWs : FL Studio, Cackewalk Sonar, REAPER, Avid Pro Tools, Ableton Live, Steinberg Cubase and others, as well as their VST/AU instruments and effects. After purchase there is ability to download from manufacturer’s site DAW Ableton Live Lite and program AIR Music Tech Xpand!2. Package contains : MIDI keyboard Alesis VI49 itself, USB cable, warranty card and user’s guide. Device has very high functionality, wherein Alesis sets its price on affordable level for such functions; so, if there is need in MIDI keyboard with large amount of controls, which will be enough for a long time in creative development, then this one is one of the best devices. 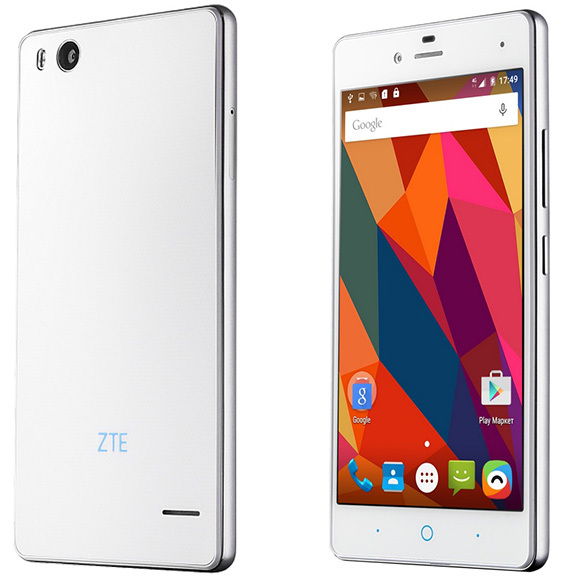 Company ZTE presented new quite powerful Android 5.1 smartphone Blade A476 with 5″ multitouch IPS screen with HD resolution 720 x 1280 pixels, 2 GB of RAM, 8 MP main camera, 4G LTE and GPS satellite navigation for 180 USD. Besides this it has : 4-cores processor MediaTek MT6735P, working on 1 GHz frequency, graphical chip Mali-T720, 8 GB of on-board memory with ability to extend via flash memory cards with 32 GB maximal size ( larger ones are, almost for sure, also supported ) and 2 slots for Nano SIM cards. It supports 2G ( GSM 900 and 1800 ), 3G ( 900 and 2100 ) and 4G LTE ( B1, B3, B7 and B20 ) networks; and has only lighting and proximity sensors. 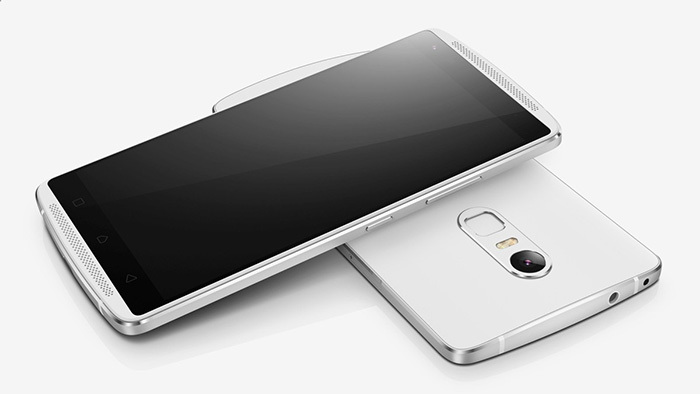 ZTE Blade A476 has 2 good for smartphones cameras : 8 MP frontal one with flash and autofocusing and 5 MP frontal one. It supports wireless Wi-Fi ( 802.11 b/g/n ) and Bluetooth 4.0 connections for remote data transfers and communications with other devices and does not support NFC connections. On its external panels following are placed : 1/8″ mini jack headsets and headphones output, USB port for connection to computer and battery charging, microphone and speaker and power and volume control buttons. Smartphone’s body is made from plastics, its sizes are 145.5 ( height ) x 75.9 ( width ) x 7.8 ( depth ) mm and mass is 150 g; its battery charge is 2200 mAh – which is an average value for smartphones. 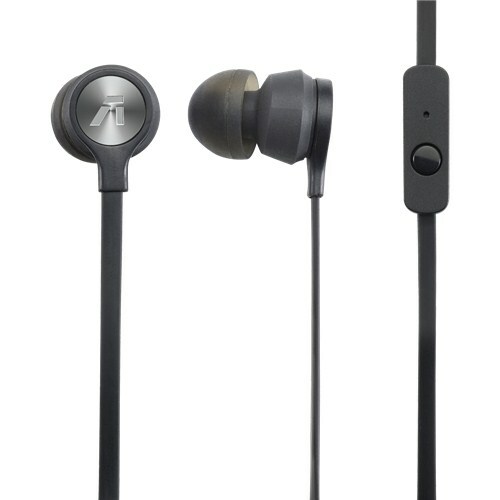 Package contains : ZTE Blade A476 smartphone itself, USB cable, recharger, headset, warranty card and user’s guide. Smartphone is good : with large IPS screen, powerful system ( 2 GB of RAM, instead of 1, as it is often the case for such devices ), 4G LTE, good cameras, GPS navigation and 2 Nano SIM cards slots; its price corresponds to its functions and even lower, than of some of close smartphones. But, if there is no need in its specific functions, then there is ability to buy much cheaper optimal Windows or Android smartphone and tablet PC with large screen. 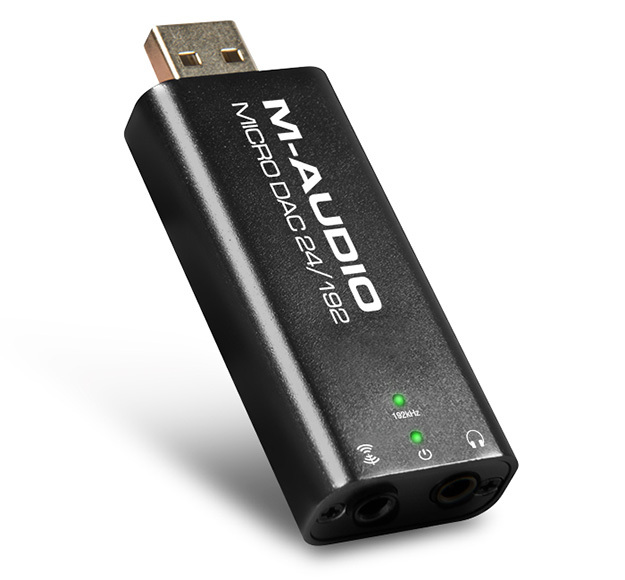 Company M-Audio promises to release this year new compact USB audio interface Micro DAC 24/192 with professional sound ( as it follows from its name, 192 kHz and 24 bits ) and metallic body. It has 1/8″ mini jack output with gold-plated contacts for headphones and speakers, the same type optical digital output, volume control and sampling rate and power indicators. Device powers from USB port. Package contains : M-Audio Micro DAC 24/192 interface itself, disk with drivers and programs, warranty card and user’s guide, as well as optical digital cable for connection of other audio devices. Interface can work in Windows 7, 8, 8.1 and 10 and Mac OS X 10.8 and newer operating systems. Device has sizes 10 ( thickness ) × 70 ( height ) × 24 ( depth ) mm and mass 30 g, it is released only in black color variant. From one side, device is good and provides high-quality sound for mobile devices : notebooks and tablet PCs, first of all; from the other side, M-Audio, probably, will set high price for this device ( on the middle of Summer of 2016 year is costs 130 USD – this is considerable more, than many entry-level professional studio audio interfaces ). So, it can be useful only if compactness is must have and it, for sure, will not be used for other tasks, than sounds and music listening and conversions of signal into optical digital; if it will be used for other tasks too, then it is better to buy for the same or even smaller sum entry-level studio USB audio interface of Steinberg, Behringer, Focusrite, Roland, ESI, M-Audio, Alesis and other companies production and receive much diverse functionality for professional concert and studio uses or high quality sounds and music reproduction at home. M-Audio – is a company, founded in USA in 1998 year, it produces audio interfaces, MIDI keyboards, synthesizers, loudspeakers, monitor headphones, DJs equipment, microphones and other sound devices. Company offices are also located in Canada, UK, Germany, France and Japan. Many popular artists use its products, among them there are The Crystal Method, Depeche Mode, Evanescence and others.